The NACC invites artists of all ages and backgrounds to participate in the Immerse: Interactive Sculpture & Artwork Exhibit which celebrates the collective work of Niagara’s astounding artists and craftsmen and is an opportunity for artists to display creative works of their choosing in this open-submission show – artists are encouraged but not obligated to submit works that reflect the suggested themes below. Artwork and media of all mediums and styles – two-dimensional and three-dimensional – are eligible for entry to this show. Prizes will be awarded for Best in Show ($300), Runner-Up ($200), and People’s Choice ($100). Winners will be selected based on the following criteria: artistry, interactivity & creativity, craftsmanship, form, construction and presentation. Victor Marwin, Master Carpenter, will be among the judges for this exhibit. The People’s Choice Award will be awarded at the end of the exhibit, September 30th, to the piece that receives the most likes & shares on Facebook, as well as the highest number of images or videos of people interacting with a specific work and utilizing the hashtag, #NACCIMMERSE. This allows us to take our interactive exhibit beyond our curated space and expand the reach of these works via digital media. Proposals for interactive performance pieces, ranging from interactive dance, music, and even drama, also accepted for the opening reception of this exhibit on August 11th, interested performers may contact Rachel@thenacc.org. 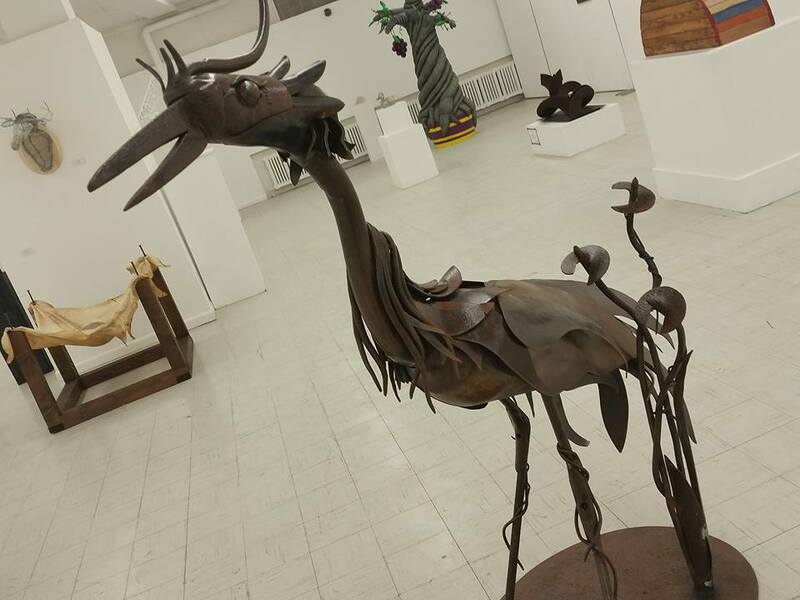 Immerse: Interactive Sculpture & Artwork Exhibit opens on Saturday, August 11, 2018 with an Artists’ Reception from 5 – 7 p.m. Awards will be presented at 6:30 p.m. The Exhibition will close on September 30, 2018.